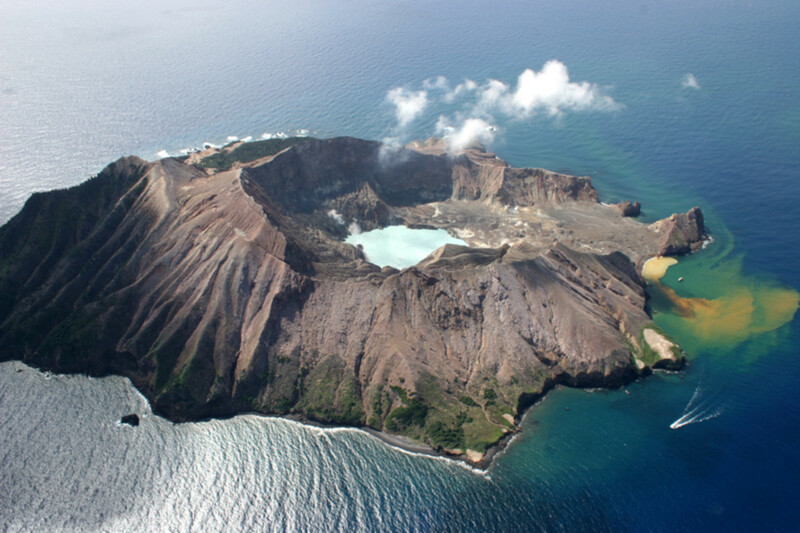 Whakaari/White Island is an active andesite stratovolcano, situated 48 km from the east coast of the North Island of New Zealand, in the Bay of Plenty. The nearest mainland towns are Whakatane and Tauranga. The island is roughly circular, about two km in diameter, and rises to a height of 321 m above sea level. However this is only the peak of a much larger submarine mountain, which rises up to 1600 m above the nearby seafloor. Sulphur mining was attempted but was abandoned in 1914 after a lahar killed all 10 workers. The main activities on the island now are guided tours and scientific research.